I am trying to hold my tears as I am writing this post. But I failed. This post is dedicated to my good friend, Wong Teng Jong, who is a bright, kind, smart and humble guy that I first met back in 2009. 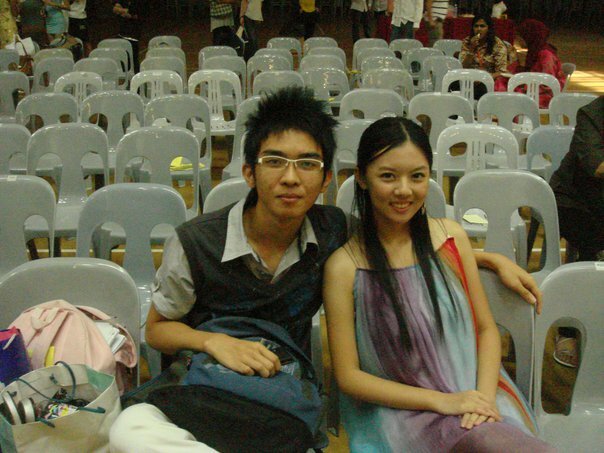 Teng Jong was my closest friend in college. I met Teng Jong at Sunway University College when we were doing Cambridge GCE A-levels programme. 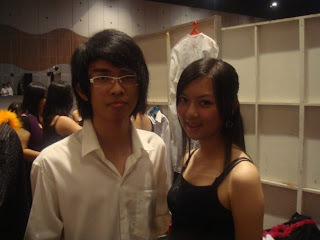 We were in different class at first but I joined Teng Jong's class two weeks later. 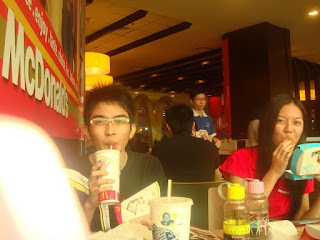 Since then, we always hang out together with the rest of the people in class. We would usually have lunch together and we see each other in the class everyday. In fact, we sat next to each other almost everyday in the class too. Because he lives around my house area, we started car pooling to class. So we ended up going to and fro college almost every single day especially in second year. We would talk about anything especially during the journey to and fro college. He usually drives me to college and I can't remember exactly why. I vaguely remember that he will always text me in the morning saying "I'm coming to pick you". Sometimes he wakes up late, and when that happen, I would text or call him, offering to pick him up. However, he always insisted to pick me up. When we arrived at college, he would drop me off and he will look for parking by himself so that I "won't be late" or I "don't have to walk far to college". He was once late for exam because he couldn't find parking and I can't concentrate during that exam until he walked in. Well, I shouldn't be worried at all because he is such a smart guy. He is lazy, I have to admit. He does his homework last minute but he would have the right answer. Like I have to copy his answer sometimes. Even if he don't, he will make up with some explanation and it kinda make sense..at least to me HAHA. Sometimes the class can be quite boring so I would disturb him in the class or he would distract me with some acts. I still remember that his iPod got confiscated because he was caught using it in chemistry class. And he had to score 60 for chemistry in order to get it back lol. He did managed to score it in the end haha. He will also remind me if I get too serious in class. "Eh why you so serious lah". That's what he would say. One of his favourite act was to bend his thumb backwards touching the wrist. Up till today, I am still amazed by it. I still remember one of the funny moments we had. One day, I was driving Lily's manual car back from college and we were stucked in traffic jam. That moment when I drove manual car for the first time after I passed my driving test. Stucked in a traffic jam. Did I also mentioned that it was on a slope? The car started to roll back on a slope when I wanted to move forward. Lily and I were screaming and we didn't know what to do. At that time, Teng Jong, who was sitting behind the seat was really calm. He reached out for the handbreak and pulled it just in time. If it wasn't for him, I would have hit the Mercedes car, and I don't know if I can afford to pay for that. He is a very supportive friend as well. I was surprised that he came to watch my modeling competition. I recalled being really tired and I already gave up before the competition. I was the worst one to do catwalk in the class and was punished to do 20+ catwalk at training. However, my group of friends, including him, still came to support me in the competition and I made it to Top 10! Their support means a lot to me because I felt like I need to at least try and do my best before giving up. I really appreciate that he gave up some of his time to come and watch my competition. He also came to watch me in one of the fashion show. It was really a small show, and it was for charity. But he still came, and he took care of my bag that day. Teng Jong and I performed for the senior graduation ball. I did silly mistake and I couldn't get up to the dancer's shoulder on time. Instead, they had to lift me up but I was falling. Luckily someone supported me with a lap. And I remembered looking at Teng Jong's face. He gave me a shock, blur and worried face. But he quickly gave me a "Good job. You did well." look because he knew that it would make me feel better. I bet I still looked like a clown at that time. 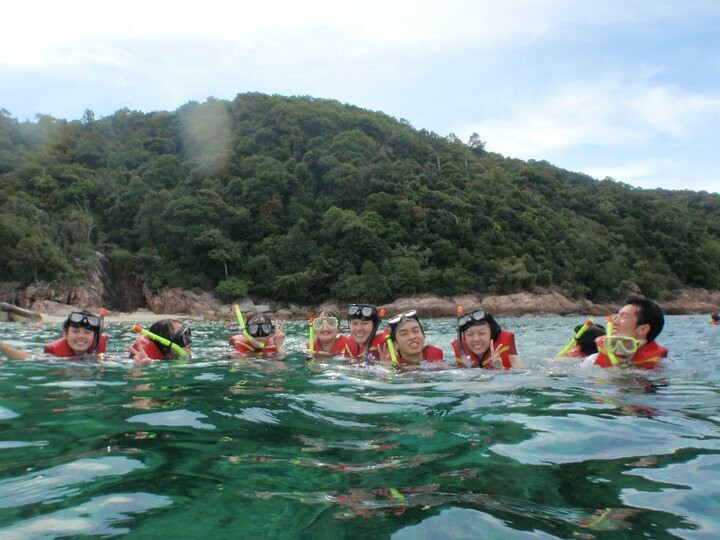 We went to Redang Island together for our graduation trip. Back then, it was really cool that he has a waterproof camera that we can use to take photos underwater. I kept demanding him to take lots of photo as I couldn't bring my camera when we go for snorkelling. Taking photo is like capturing memories and Asians in general love to take photo..so I was really glad that he has that cool camera and left me with lots of photo that I can always look back to remembering the times we spent together. 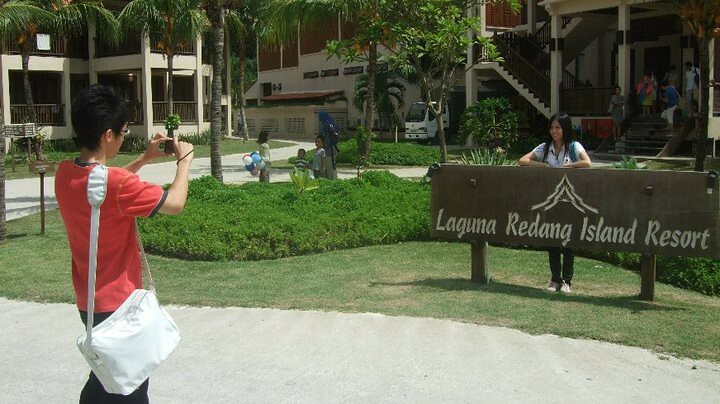 Ah hah, then there was a little drama that happened at Redang Island. Teng Jong was being nice to hold my camera so he could return it to me as I left it in one of the guy's room. However, he lost it on the night before we are supposed to leave. I don't know if I scolded him or said something that upset him at that time. Being a childish me years ago, I probably would have. But I remembered that I didn't have appetite to eat breakfast and I cried that morning when we were supposed to leave. Teng Jong had this guilty face and he looked everywhere for it for a long time. He probably skipped breakfast too. Finally, it was returned to me by someone who found my camera and saw the photos of the people inside. He was so relieved afterwards. 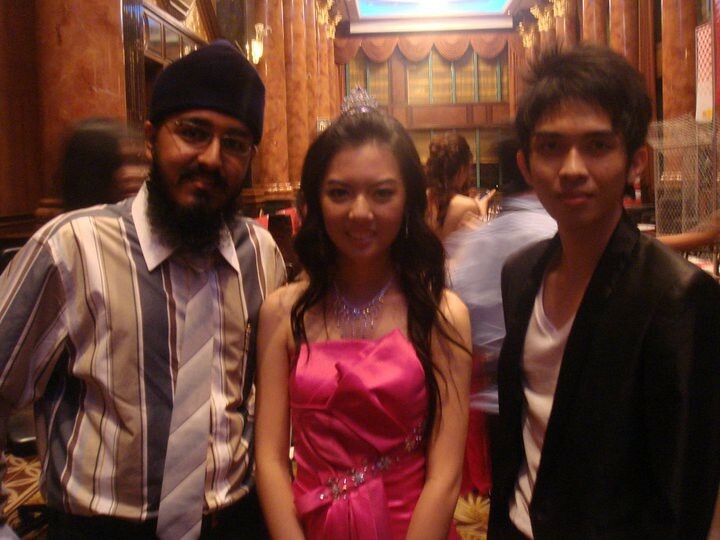 I went to graduation ball with Teng Jong. As in he drove me to the ball (I think) and send me back home. He is always very conscious about how he looked. So he asked me for my opinion about his outfit. He cared about his hair very much so he always fix his hair in front of the mirror. He sometimes doesn't like wearing glasses when taking photos. So he would ask me if he looked better with or without glasses. To me, he still looked the same. 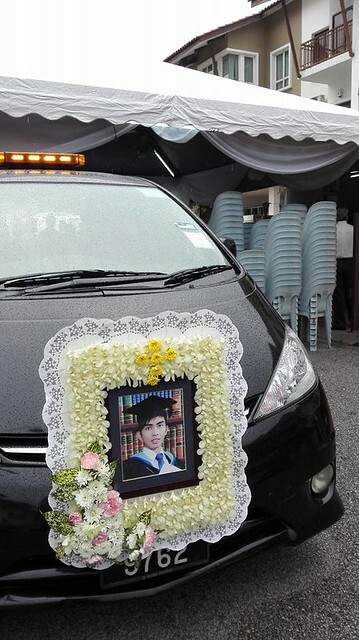 (And I also remember that I told our lecturer that you are driving me home when he told me to "hang on tight" just because you almost hit his car at college haha). After finishing Cambridge GCE A-levels programme, I seldom meet up with Teng Jong. He took me to swimming once but the pool was closed so we didn't get to swim. We did hang out for mamak at night maybe twice in a year? It was mainly because I went to New Zealand to further my study. One day, he told me that he had bone cancer. I thought he was joking. He always jokes around but then when I think about it, he wouldn't be joking about this kind of stuff. "Are you serious?" I asked. And I started questioning more. He said he could still cope with it, like it is painful and he is going for chemotherapy. That was probably the second last time that I seen him. If I remembered correctly, the last time I saw him was in 2012. I was back in Malaysia for my summer break and I invited him to red carpet and cocktail party plus a movie premiere because I had extra tickets to give away. We didn't really talked much that time because it was quite a busy event and it was hard to catch up. He did told me that he completed his chemotherapy and it went well. I kinda recalled him saying that he was going overseas to further study. Actually, we may have met up at mamak in 2013. I think I told you that I got offered a place to do Master of Dietetics. When did the car plate alphabet reaches "WTJ" ? I can't remember. I know that you said you regretted that you didn't get it for your green Proton Wira, but you were thinking about saving that money for your parents. Few months ago, he asked if I was in Malaysia. It was just the right timing because I just touched down few hours ago. And his message to me was "Find a day come yam cha ar!". I messaged him on Facebook later to ask when and how was he. He told me that he was treating his neck for the past few months and said that he could meet up during weekdays. And I did not reply him. I was in Malaysia the whole time, relaxing at home, when I could have drove to his house to meet up with him. I felt guilty. I told myself that I will meet up with him when I go back to Malaysia again. When I was in the office, working on my thesis, I saw his Facebook status..that Teng Jong has passed away. I was shocked. I can't believe that. It was quite sudden for me. I was going to meet up with him when I go back to Malaysia. Why didn't you wait for me? And you said you will attend my wedding as well (it's gonna be ages away). Why did you just....left? There are many things that I want to share with you and you didn't update me with the things that happened in your life. And when you said "likee! wanna ask u something!" What was it? You didn't tell me! Now you left me hanging. My dear friend, I missed you. I was not ready to say goodbye. I think about you all the time. I thought I would be better at dealing with death after being trained in hospital setting. But I overestimated myself. Now I cannot stop crying whenever I think about you. I know you wouldn't want to see people who cared about you to feel sad when you leave. That is why you always gave the widest smile when you are going through all the pain. You wouldn't give up and want to continue chemotherapy but the doctor told you that your body cannot handle it after your first treatment. I know you tried so hard. And you didn't give up. You always inspired me and gave me strengths and hope. You did a good job. I hope I could give you the "Good job. You did well." look like how you gave it to me at the performance. I hope are you are well in another world. Our friendship is forever. You're always in my heart.